If either one of these systems could be had for FREE, which system would you pick, and Why?? I worked with the GRS tools for 4 years before I changed to the Lindsay tool. The why is simple compact design, one tool does it all, smaller foot print, and for me I get better control. Please note I have NO ill feelings for the GRS tools, they are a well designed tool. It Is my personnal choice. It is a Question of Your Personnal choice if the systems were FREE. I've had my Classic for just over a month now, and it still amazes me with its power, and fine control. It seems that my gravers stay sharp longer, and with Steve's Sharpning system touch ups a breeze. I will never return to the other system, Will You ??? This is one of those places where you buy the best... the guy that invented it makes the best. For free or for full price, I made the right choice, I'm sure. Remember, it could well be that your only purpose in life is to serve as a warning to others. I work with a palm control everyday. Boy I would hate to be without it. I actually had one of the GRS systems given to me where I work. I used it for about a month, then bought an airgraver with my own money to use instead. The GRS is sitting gathering dust. Meanwhile, the company has been so pleased with the performance of the air graver, they paid me back what I spent for it and paid for another two besides. The Classic is just that "A Classic"
Had the pleasure and still have to work wit the gravermax. Had the Lindsey palmcontrole for less then a wheek in my own workshop. I lost a lot of sleep because of this machine! It does what I want. The gravermax would probably do the same, but I would have to learn how to ajust the system to my preferences. Thet Grs system is a great tool, but the Lindsay PC is so much more easy for me that I would go with the Lindsay anytime. Today I did these negative monogram's. The fine lining's (shading) I could not have done with the Grs system. Must be easy with the right setting's but with the Lindsay it was just the stroke length adjustment. I love my Lindsay (does that sound ackward to you? Should it be Steve's Lindsay?) This machine neglect's my ignorance and make's me engrave! Make's me neglect my wife to since last theursday whenn I got mine. I've got the advise from stone setter's and engraver's. Thank you all, You where so right! The Lindsay tool, without a doubt. I've owned an AirGraver since late 2001, in 2002 my wife bought me the Ivory handle for my Classic. Since then I have purchased the Classic in the Chasing bore with the Palm Control and Burled wood handle. Don't feel weird Donna, I go through "separation anxiety" every time we go away on vacation. I,ve had my Classic for just over a month now, and it still amazes me as to it smooth starts, and power range. My gravers stay sharp longer, and with the Lindsay graver design I get a very smooth cut. I also have the Lindsay Sharpning System which makes graver touch up a breeze. Got to Love That Classic Airgraver. Does anyone have any tips, or suggestions for other uses for the Classic ?? Hay Steve, how about a template for round gravers ??? The day I got my Classic model I took it over to a friend with the Gravermax set up to try it with his air compressor as my compressor was still in transit. The GRS felt choppy and crude and the handle awkward compared to the ultra smooth power of the Classic. My friend with the GRS was impressed too with the smoothness and said if he did engraving instead of just stone setting stone setting he'd get the Lindsay tool. I was a hand pusher for 20 years before that doing jewelry engraving. It was like being in the lawn care business and going from and old motorless push lawnmower to a three blade blade riding mower with air conditioning. There is no way a hand pusher can compete anymore with power engraving. However when I get some 100 year old trophies in my shop to add another date I am still impressed with some of the hand power visible by some of those old masters who only did engraving and hand pushed it all. It takes a lifetime to master that kind of power and control. Now power is no longer an issue, just control. Another jeweler friend who always envied my rare engraving niche bought the Classic after I let him take mine for a spin. Two years later he still can't engrave so there is more to it than just the tool, like the need to acquire hard won drawing skills. Fortunately my wrist is never sore anymore at the end of the day since I got power three years ago. Hi guys & gals , I am brand new to this or any other forum so please forgive my lack of social graces if I accidently pee in some ones cornflakes or commit some other transgression .Comunication with just the written word (without body language or any other jestures )can often times mess with the intent of the message so don't get your boxers in a bunch if my expressions are out of wack with your interpretations .So....here we go, I have the opertunity to buy a full grs set-up,minus a vise or optics.what are the pros & cons of grs vs. Lindsay? Hi Pat, Here are links to previous threads on the subject. Thank you sir,can't ask for a fster rply then that! I'm new to Engaving so I don't know if I even qualify to answer. 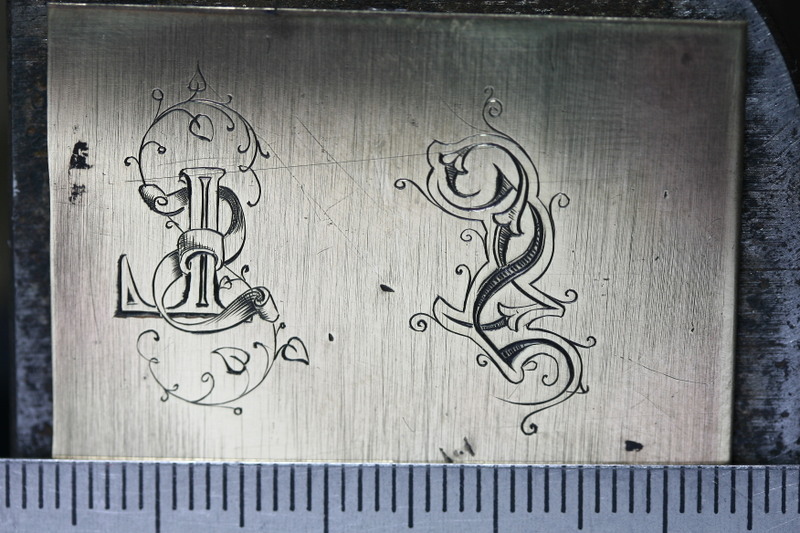 I took 'CJ Allan's Motorcycle Engraving Class' and was instructed in the use of differant air assist engravers. For me the Lindsay was by far easier to learn to hold and control. When I got home from class the first thing I orderd was the new 'Nitro G20' and I love it. I am amazed every day with what I can do and how easy it is for me to use. also for us Jewellers / Gemsetters, I prefer always the Lindsay Airgraver over the Competitiors models. It's the best there is I purchased a foot control classic aout4 years ago,and I purchased another one about 2 weeks ago with the polmcontrol. Save your extra money and get a palmcontrol you will love it!